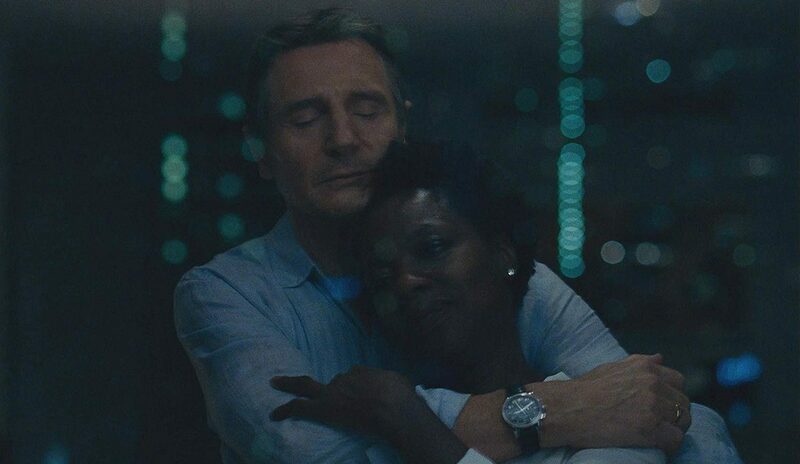 Widows cleverly uses the spirit of the legendary Nina Simone, imparting her collected calm and jazzy timbre from “Wild is the Wind” into a picture that pairs her vibrato with striking visual chords every step of the way. It’s a heist film by definition, an art film to some, and one of the very best pictures of 2018. Whereas Ocean’s 8 ended up being an above-average disappointment, Widows counters with a cursive signature. So many modern movies scrawl in all-caps and this one shows the effort to pen itself with great authenticity. The picture provides nuance, emotion, a deep understanding of honest fellowship born from violence, and the final product is nearly without equal in its given genre. This is one film that should not be missed. It should come as no surprise that a film titled Widows chooses to open with the deaths of men, three of them to be exact. Harry Rawlings (Liam Neeson) leads the team filled out by the gambling addict Carlos (Manuel Garcia-Rulfo) and the wife-beating Florek (Jon Bernthal). Their big money plan goes awry and the getaway van blows to pieces, incinerating the bodies and all of the stolen cash. And so the wives become widows, the strangers turn into confidants, the once passengers now behind the wheel. They have a problem though. Even after the deaths of their husbands, these women are still forced to clean up the mess they’ve left behind, tracked down and threatened by Jamal Manning (Brian Tyree Henry), a hopeful political candidate and complicit crime boss whose cash was burnt to ashes. With Harry gone, Veronica Rawlings (Viola Davis) is forced into an illicit world she previously turned a blind eye towards from her penthouse apartment. Veronica tracks down Linda (Michelle Rodriguez) shortly after her boutique was ransacked to collect her husband’s debts, as well as Alice (Elizabeth Debicki), a woman who looks like a runway model save for the bruises and scars left by her abusive late lover. Rounding out the crew is Belle (Cynthia Erivo), a single mother who serves as their driver. All of these women desperately need financial stability, and although Harry didn’t bestow anything onto Veronica, the closest thing to a will he left behind was his notebook. Another heist was mapped out, drawn and choreographed to the very smallest detail. If three men can’t pull things off, perhaps four women can. Widows is an extremely convoluted film, but as it’s been written by the dexterous hands of Gillian Flynn, it’s hardly a confusing one either. All of the different routes and bridges eventually lead to the inevitable, unpredictable endgame. Jamal Manning’s candidacy challenges the nepotism of Jack Mulligan (Colin Farrell), a white man pandering to an impoverished African-American community, seeking the same power his family’s local dynasty has held for decades. Neither man is entirely morally bankrupt; they want to do what they believe to be is right, so long as they can line their pockets along the way. They’re no angels either, willing to bend rules and commit felonies and cover them up with the power that comes from being a galvanizing political figure. 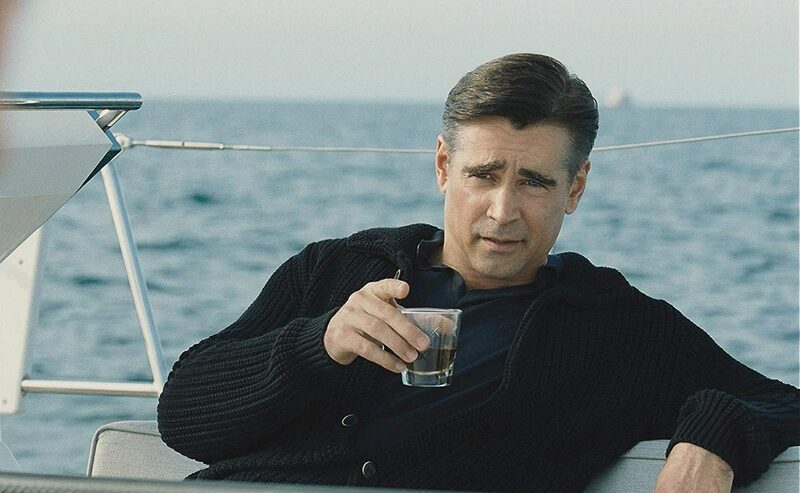 Widows features only one true villain. Jamal’s brother Jatemme (Daniel Kaluuya) plays the enforcer. He’s nefarious, desensitized, capable of committing murder in the first degree without batting a lash. Kaluuya’s one of cinema’s best young actors and his performance here is ruthless. It’s remarkable how much he’s able to express whilst doing so little. So much of Steven McQueen’s gutsy film – pulsing along to the tune of Hans Zimmer’s reliably great score and Sean Bobbit’s excellent cinematography (a full conversation shot from the hood of a moving car is a stroke of genius) – rightfully concerns itself with female empowerment and the hurdles it must clear to overthrow the slavery of fixed politics and the inept futility of the patriarchy. These women have to be strong. They have to be resourceful. They have to look out for one another. 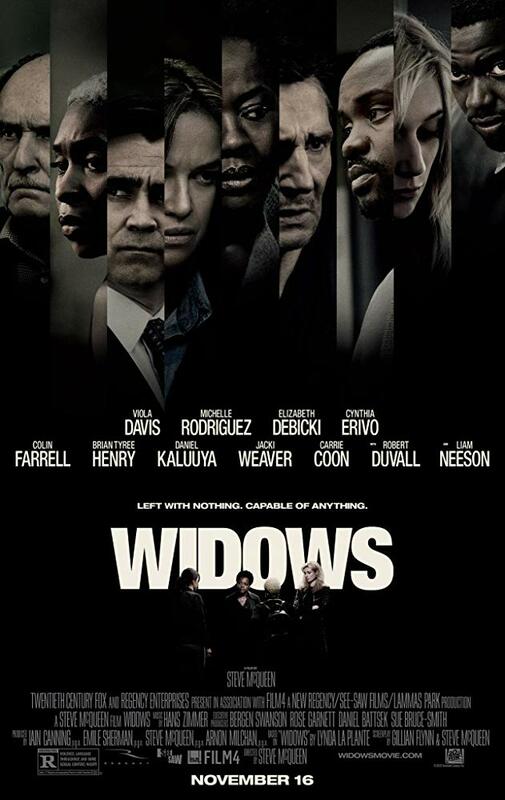 Widows begins as a world created for and ruled by men, and it proves femininity no longer requires subservience. When Viola Davis answers a simple question of why with great gusto and heart, saying “because no one believes we have the balls to pull this off,” we immediately understand how the power dynamics have changed. These ladies are beautiful, they’re caring, and I wholeheartedly believed their capability to invoke their wrath. Movies as great and as calculated as Widows rarely let anything go unchecked and simply happen out of coincidence. This especially goes for its choice of Nina Simone’s “Wild is the Wind.” As I said before, the song fits the film due to its combination of strength and vulnerability. There’s more to this choice though. The LP’s cover art says that the record features “The Unforgettable Four Women,” as does this stirring picture, and the song’s moving lyrics embody the film’s attempt to be a piece of blockbuster art, assuring us of a change where women are no longer the leafs clinging to dead trees but rather the roots of their own respective stories. 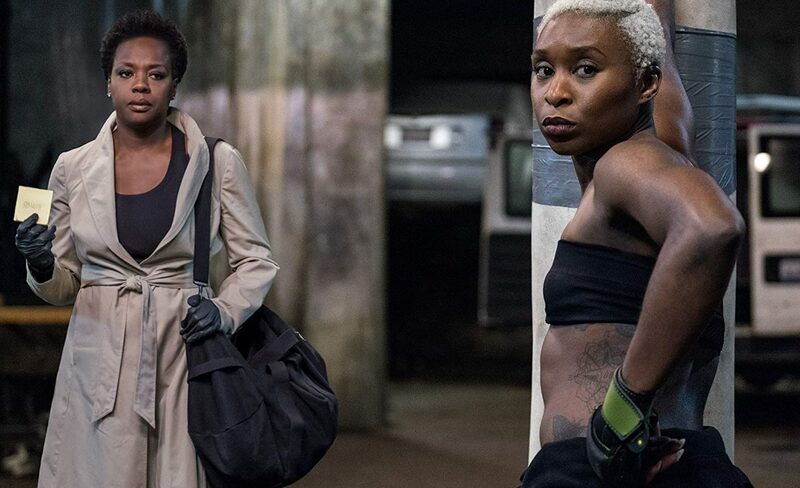 Widows plays most things big, a few of them small, and is one of the rare edge-of-your-seat experiences in recent cinema that has the ability to appeal to the movie masses and the film aficionados at the same time. It entertains you, yet more importantly, it requires you to think.